In 2018, we started to realize that too much of a good thing is a bad thing. Just a few years previous, we loved having a few good streaming services to choose from. We loved the online originals that were better than anything on broadcast or cable, and we loved trimming or cutting our cable bill. But in 2018, those services and those original shows and movies just kept coming, and we found it impossible to keep up. Think about Lucy and Ethel and the chocolate conveyer belt (now, that was peak TV). That’s how it felt. At one time, we welcomed TV recommendations from friends. Now, we loathe them. Another must-watch show? Another “next Breaking Bad”? It’s all too much. The problems started immediately as 2018 began. In January, Ooyala published a report saying that 49% of those surveyed believed they had too many TV options, although, ironically, none of them quite satisfied. Maybe that’s why households felt they needed to add more and more services as new options appeared—so they could catch every streaming show before their friends did. The next problem was that people felt they had too many services. 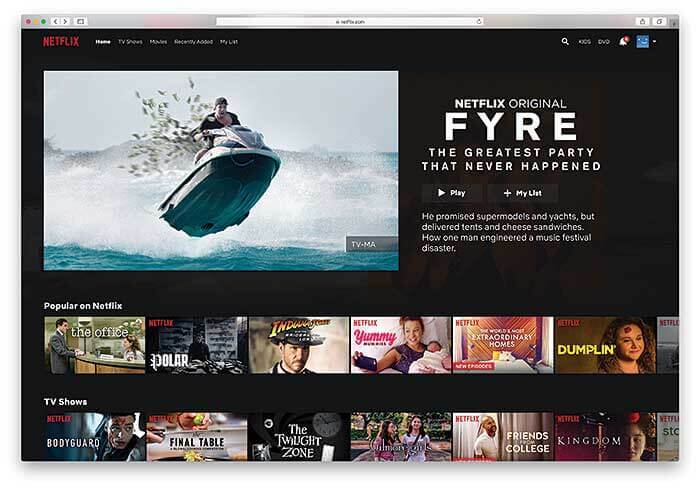 A report from Phenix, also from January, said 42% of U.S. adults refused to pay more than $20 per month for streaming services. With most broadband households currently having between two and three streaming services, that number has probably crept up. For households that have multiple services, finding all the shows they want is also a problem. When must-watch programs are scattered across multiple services and platforms, hunting down content is a chore. In March, Hub Entertainment Research said 69% would rather get all their TV options from a single source. Look for channel aggregators, modeled after Amazon Prime Channels, to find a following in 2019. They make it easy to add or subtract services and pay with one monthly bill. Roku started out 2019 by launching its own aggregator, although it’s going to need more big-name content to enjoy wide support. Rather than cutting back on what they’re offering, streaming services are charging forward with originals. In January 2018, TDG Research said Netflix, Amazon Prime, and Hulu would triple their spending on originals and fork over a combined $10 billion annually by 2022. In February, Variety reported that Netflix would have 700 original shows on the air by the end of the year. Those efforts are clearly driving growth at the world’s first global TV network, but consumers are more dissatisfied than ever since they don’t have time to watch all the shows they want. Not that we aren’t trying: An end-of-year survey from LG Electronics defines a “serious watcher” as someone who watches 10 or more episodes per week and watches content on multiple platforms. Millennials, it said, are more likely to see this as a way of life. Netflix remains the leading SVOD service, and by the end of 2018 it had 700 original shows on the air. As Streaming Media frequently reported in 2018, viewers expect a TV-like experience even when streaming, but they aren’t getting it yet. For example, Conviva reported in January that 17.7% of all video plays worldwide either experience a video start failure or exited before the video could begin. Online viewing shifted to the living room in 2018. While mobile video streaming is still growing, connected TV viewing is the big gainer. When watching long-form premium video, people would rather use the biggest screen in the house. Thanks to falling flat-screen prices, that big screen is bigger than ever. Desktop viewing fell in 2018 as viewing habits changed. The move to TV streaming promises to be a good one for publishers and advertisers. Ads on streamed programs take up the whole screen and are usually unskippable, leading to high completion rates. Addressable video advertising will certainly see strong growth in 2019, since ad providers are able to target ads to individual households and enjoy high ad rates in the process. Free, ad-supported streaming services will likely enjoy a strong year, as households are tired of streaming fees. Look for commercial loads to become a sticking point by the end of the year. When desktop streaming was popular, but viewers were using ad blockers to avoid ads, the ad community understood it was part of the problem and cut down on ad loads. But ad blockers aren’t an option on connected TVs. 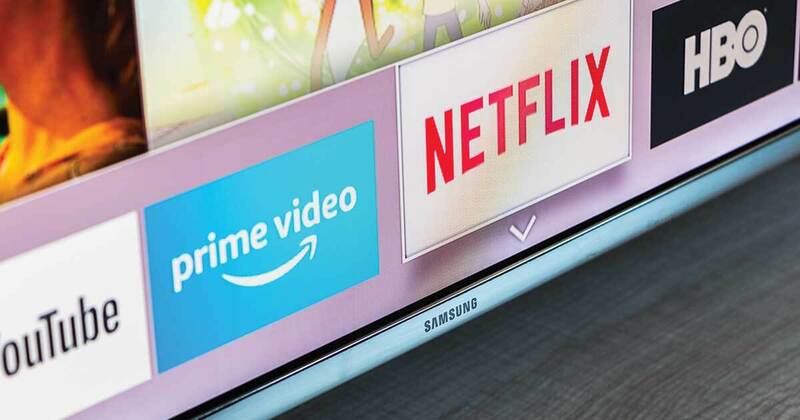 With no incentive to reduce ad loads, the ad community is likely to create streaming ad breaks that are just as long as on commercial linear TV. The move to the living room created some casualties in 2018, the most prominent being Go90, Verizon’s teen-oriented mobile video platform. Launched in October 2015, Go90 had a social bent all its own, allowing viewers to follow “crews” and share clips. Despite spending a billion dollars in investment, the platform was never able to find an audience. Teens are also overwhelmed with viewing choices, and Go90 never attracted enough fans. It closed in July to little fanfare. Verizon also declined to launch an OTT subscription service in 2018, something that had been widely expected, perhaps because there was already too much competition. Facebook had success with video in 2018, but not at the level it once imagined. While the social network’s executives once worked to change the platform into a video powerhouse, it didn’t become a YouTube or Netf lix replacement. Many companies and sports leagues found success live streaming on Facebook in 2018, as they could tap their social networks to get fans to tune in for live events. But while Facebook invested $1 billion in original premium content and Facebook Watch tried to steal popular creators from YouTube, viewers largely stayed away from its on-demand programming. By the middle of the year, the company was pushing IGTV instead of Facebook Watch, trying to lure fans of its popular social photo app into watching long-form content. And by the end of the year, pundits were already calling IGTV a failure. Fickle teens prefer following their favorite creators on YouTube, and never saw the need for IGTV. For its part, YouTube had a strong year, emerging from its well-publicized brand safety struggles with more advertisers than ever. That’s where the streaming world stood at the end of 2018. To see where it goes from here, we’re bringing in experts. The problem of too much choice is going to get worse in 2019, and the solution will be a combination of technology and changing consumer behavior. How will the problem get worse? This year will see high-profile OTT debuts from Disney and Warner Media. While a lot of emerging services get labeled “Netflix killers,” Disney’s service could actually put a dent in Netflix. Consider that Disney owns Pixar, Star Wars, and Marvel, besides its namesake studio. Then consider that it will pull its content off of Netflix and add it to its forthcoming Disney+ service. Throw in some original Marvel comics series that borrow from the Marvel film division as well as Star Wars originals, and the service starts to look like an absolute must for a wide range of fans. With some of its established hits like House of Cards and Orange Is the New Black either over or nearly so, Netflix starts to look vulnerable. Apple will also get heavily into premium originals this year, and it’s relying on star power (like Oprah Winfrey) to bring the viewers. While the details aren’t known at press time, word is Apple will make its content available for free (with ads) over its own devices. So how will consumers deal with having more quality TV choices than ever? 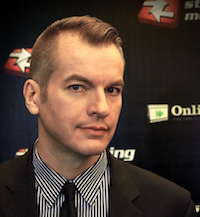 To find out, we spoke with Peter Fondulas, a principal at Hub Entertainment Research. “We’re going to get more of these direct-to-consumer services. So Disney will offer one, maybe ESPN will have its own standalone. We know that Apple’s coming out with something. And so what’s going to happen is there’s going to be more consumer frustration with the diffusion of content in the future?” Fondulas asks.